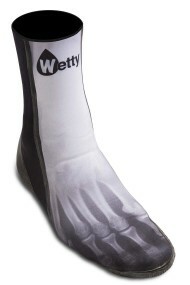 WETTY the « barefoot feeling » surf boots and stylish high performance surf accessories company. 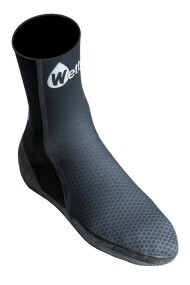 As many surfers, we did not find on the market what we liked, so we decided to develop our wetsuit surf boots, warm with High Performance grip. 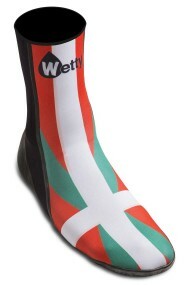 We come back this winter with an expanded range developed with the same philosophy to know High Performance and style. 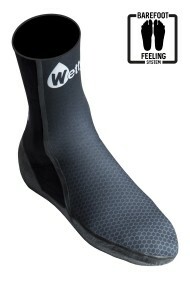 The WETTY WETSUIT STARFLEX range of surf wetsuits is the result of 30 years of experience in cold water. 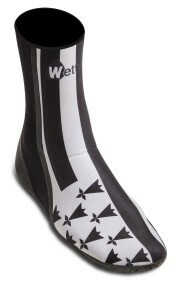 We chose the best materials and particularly the details (seams, wrists to eliminate water entries). 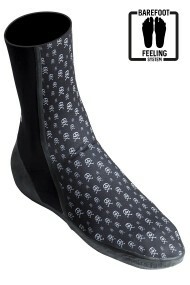 With our Neoprene booties, you will find the pleasure of practicing outdoor action sports in cold water. You'll have the impression of surfing barefoot with latex soles. All our products (surf boots, wetsuits, hoods) are made with eco-friendly materials such as the LIMESTONE neoprene (japanese neoprene) and the natural latex of our soles and seams. 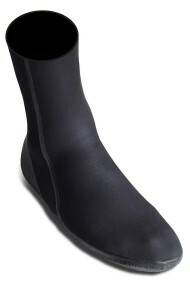 Our Neoprene booties can be used for Surfing, Windsurfing, Kitesurfing, Bodyboarding, Stand-Up Paddling and even Water Walking. Our products are tested and developed by extreme sports professionals who do not hesitate to test them in gigantic waves like Belharra and Nazare. Style: It was important for us to bring fun on technical products. In fact, extreme sports provide adrenaline and everyone lives it in their own way. That's why our designs reflect a philosophy: to make quality without taking yourself seriously. You will find original patterns, offbeat but also more sober patterns for those who seek only performance. Welcome to the WETTY universe.